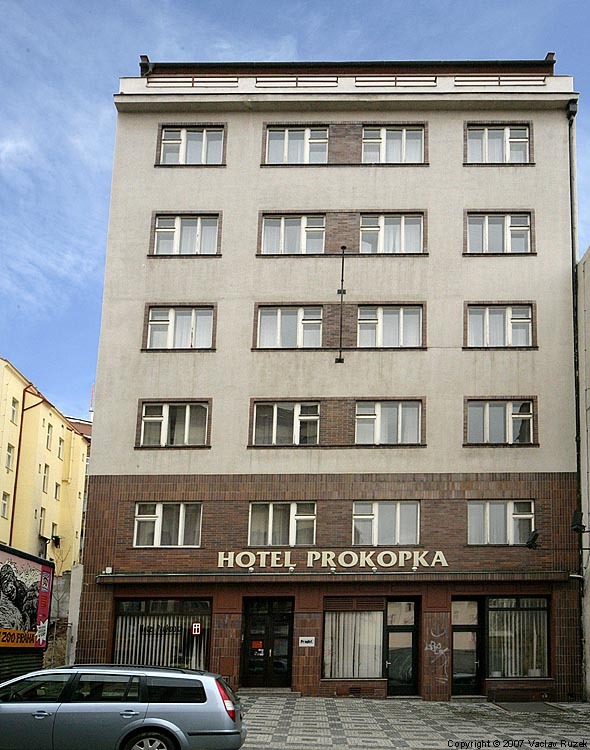 Hotel Prokopka** is located near the centre in the Prague 3 - Zizkov quarter and offers you cheap and comfortable accommodation with welcoming family atmosphere. The centre of Prague is easily accessible by tram or bus in 10 minutes. Our hotel is due to its suites (with possibillity of using the kitchenette) choosed by families with children, student groups, long-stay students and budget travellers from all over the world. We offer 15 suites composed of two bedrooms (twin + triple or twin + twin), kitchenette with refrigerator and all other equipment, bathroom with shower and separate toilet. If you book only one room in the suite the facilities are shared with the second room. We offer also 6 double rooms with private facilities. These rooms are orientated to the rear, quiet part of the house. All the rooms are equipped with direct dial telephone and most of them with office table. In case of your interest, we can prepare also a third or even a fourth bed in our large rooms for low price (extrabed). Buffet breakfast is included in the price of accommodation. We dispose also of specially designed room for your conferences, seminars, training programmes, presentation of firms or banquets. The room is equipped with flip chart, TV + video and internet connection. Capacity of conference room is 20-25 persons. All the hotel is covered by Wi-Fi internet connection and two computers with internet are also at your disposal in the reception (free of charge). Furthermore we offer you these additional services: fax sending, copying, letters and postcards mailing, public transport tickets sale, stamps and postcards sale. Also available maps of Prague, Vltava river cruises, sightseeing tours. All prices include buffet breakfast, linen and all taxes.